The New York State Office of General Services welcomes everyone to enjoy free skating and special events this holiday season at Albany's Empire “Skate” Plaza, including a “Try Hockey For Free” program and a trivia day at the rink. And don’t forget, skate rentals are free each Friday, courtesy of Hannaford Supermarkets. 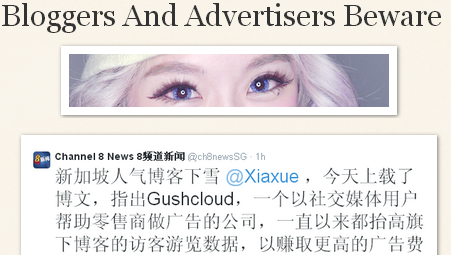 Here's a new wrinkle in the Xiaxue vs. Gushcloud saga! 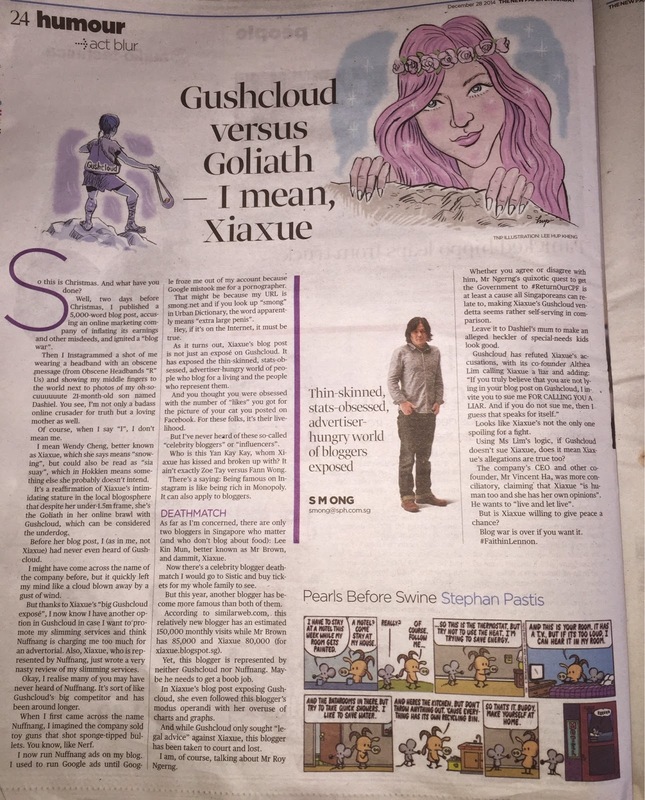 And here's A timeline of the Xiaxue vs Gushcloud Saga! 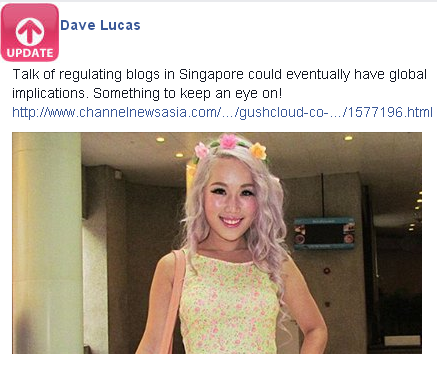 The short, via news.asiaone.com ::: Xiaxue, whose real name is Wendy Cheng, 30, alleges that Gushcloud inflates its earnings, gets its bloggers/influencers to mask paid advertorials as reviews, pumps up its influencers' blog page views, and buys fake YouTube likes and subscribers. She detailed how she created a fake company to buy ads from Gushcloud and find out more about how the company operates. She did so, she claimed, to expose them with "evidence". She also got a programmer friend to track the bloggers' page views to show that Gushcloud inflated the numbers. Happy Holidays with Love and Appreciation! As 2014 comes to a close, I'd like to take this opportunity to thank you for supporting my work. For reading my blog. For following me on twitter and weibo. For interacting with me on LinkedIn and WeChat. I wish you and your family a holiday season full of joy, inspiration, and dancing! What are you creating for the new year? What do you want to discover? Like you, I am constantly challenging myself in the never-ending quest for what's next, and in 2015 plan to push the envelope farther than ever before. Without you, there would be no me. 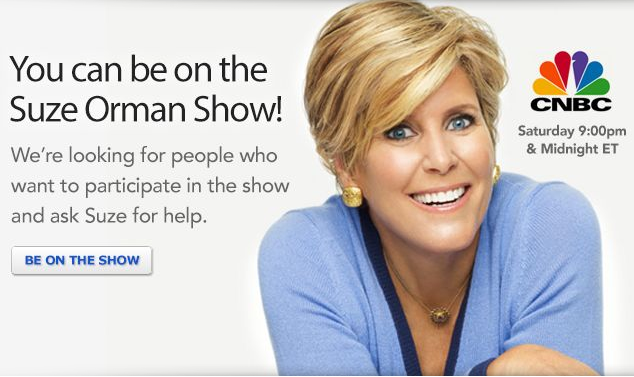 Thanks for reading my articles and listening to my radio stories. At one time or another, you've no doubt been told things like "life is short" and "be all that you can be" and you've read and heard the words of others who wish they could have been more and done more... others see potential for younger ones who have plenty of time to choose a "right path" and try to guide them in that direction. You live your own one life and find your own way. You have to be true to YOU and find your own peace within your heart and soul. When I see people ignoring opportunities or busying themselves with worship of movie stars or rock stars, I feel sad for them. For some, that's the only way they can live their lives without feeling terribly small and insignificant. Every life is precious. Enjoy YOURS, have fun, be kind to others and yes, like the US ARMY once insisted, "be all that you can be." Deception slain by falling snow! I learned of this very early today via twitter! It's a longer article, worthy of a magazine. "Bless us, any god who crabs the apples and seeds the leaf and needle evergreen." As the clock spins, another Winter is upon us. I sit here early Sunday morning at the keyboard, thinking of all the unfinished promises ("rolling resolutions") I had made to myself at the beginning of 2014. Incomplete, still there in the brain, but no physical manifestation, not yet. 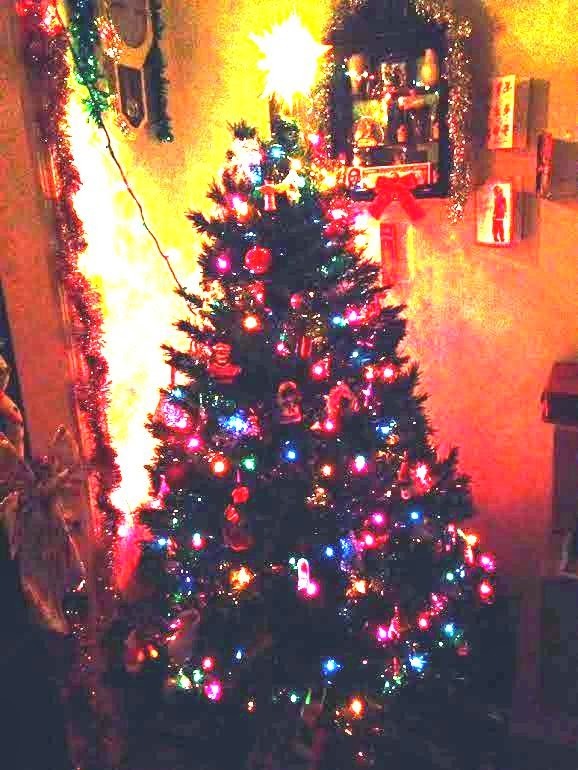 Throughout the first decade of this century, I would write and post an annual blog article loosely about and coinciding with the Holiday Season, Winter and Yule. I swear if I never post another blog article, I'll always return and do the "annual update" or "mental housecleaning" or whatever it is this short piece represents. Good grades and community service hours might not be enough to get students into their dream college anymore. It might come down to their Facebook pages. College admissions officers are turning to sites like Facebook more and more to learn about applicants, a new survey shows. Illegal activities: Students experiment with many activities and substances, but the second you post risky behavior you become vulnerable not only for school expulsion but for criminal prosecution. Bullying: This includes any verbal, written or physical conduct that denigrates or shows hostility toward anyone. Trash talk about your teachers: You never know which one of your professors will hold the keys to the next great internship or job announcement. Lies or plagiarized content: Don’t lie about professional or academic achievements when applying to college or an internship. People will investigate. Threaten violence: Even anonymous, empty threats raise red flags. Social media is not the place to vent your frustrations and violent thoughts. Talk to a school counselor. Don’t rely on privacy settings 100 percent. Although most major social network sites update you with privacy improvements, the changes often are too frequent to follow and can get complicated. It’s best to assume anything you post is fair game. Whoa! Look what things are coming down to! US Cultural collapse! Without reaching back more than a few months, we've had more injustices, inhumanities, scandals and shocks than anyone could have imagined. And they keep coming! The Computer = SONY Pandora's Box ::: The Hollywood studio that made the James Bond and Spider-Man films has abandoned shoots after hackers crippled its computer network, and leaked four films and thousands of documents. Agencies filming for Sony Pictures have cancelled shoots because the problems have left it unable to process payments, a source told The Times. The END of GMail is near! Google preparing to someday delete GMail? This came for the Dollar store! The same display had USB wires for Androids and iPhone for $1 each, so I bought two for each phone. I picked up a few extra as stocking-stuffers for the coming Holiday Season! I get a full charge on my iPhone from 50% in about twenty minutes! This particular item comes in white or black! 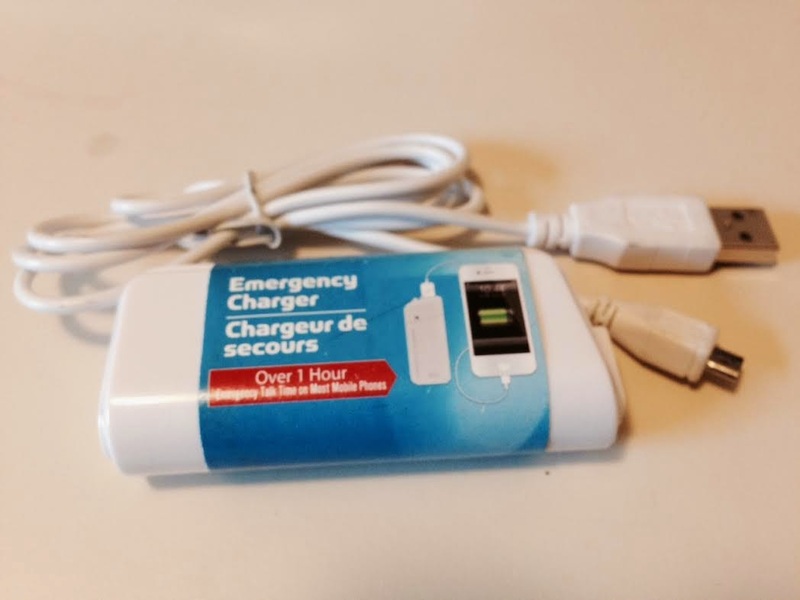 A full-featured solar charger like mine means you rarely run out of battery power when you're on the go! I got this one for about USD $8 on Ali Baba. It takes about an hour to fully charge my iPhone from 39%. Dec. 5, 2014 - FINAL! 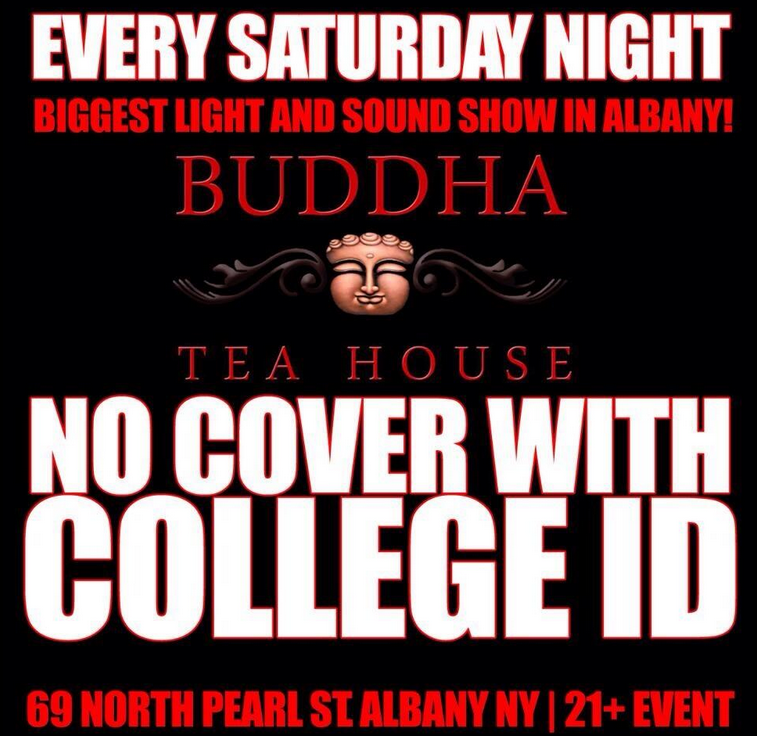 Albany, NY – The New York State Liquor Authority (SLA) issued an emergency suspension of the Buddha Tea House, at 69 North Pearl Street in Albany. The suspension was ordered by Members of the SLA, Chairman Dennis Rosen, Commissioner Jeanique Greene and Commissioner Kevin Kim at a meeting of the Full Board on Tuesday, November 18, 2014. Effective immediately, no alcohol may be served or consumed on the premises. On November 9, 2014 at approximately 1:45 am, an Albany Police Department (APD) patrol unit witnessed a victim of a stabbing exiting the Buddha Tea House. APD officers responding to the victim were impeded by a violent altercation involving patrons of the Buddha Tea House, an altercation that erupted directly outside the bar in the immediate aftermath of the stabbing, resulting in the injury of two additional patrons. APD officers report the licensee and staff were uncooperative with the investigation; by attempting to deny police officers access to the bar, denying the incident occurred inside the premises, denying APD access to security video, in addition to attempting to clean up the crime scene. The SLA charged the bar with three violations of the Alcoholic Beverage Control Law, including disorderly premises and deliberately interfering with a police investigation. You can't force a blog to be popular. I take that back: you CAN but it won't last long. A lot of what goes into a successful weblog depends on WHO reads it and HOW they spread what they've read. If you want the 101 on making a splash with your blog, just read between the lines as you peruse Bill Cosby’s fall: How an extra ticket, an iPhone and a six-month-old comedy bit changed how we think about a legend, which pretty much packages the way things (and blogs) can achieve that most-lusted after 'viral' moniker. Want more? Research "Build A Blog That Counts"
There's more going on in this world around you than Climate Change. There is upheaval on many fronts in many lands; an acute awareness of people in other places, of longing to know and experience what they are doing, and how ideas are evolving. In the United States, government is teaching citizens to fear #ISIS but open their arms to immigrants, as racial tensions mount. In Russia, government is teaching citizens to fear homosexuals, as it copes with monetary issues involving #Ukraine and oil. In Iran, leadership seems to be loosening its grip on freedom-fighters. In Hong Kong, students are testing the boundaries of freedom as Beijing adjusts to shepherding a democracy whose control it regained from Great Britain in the late 1990s. 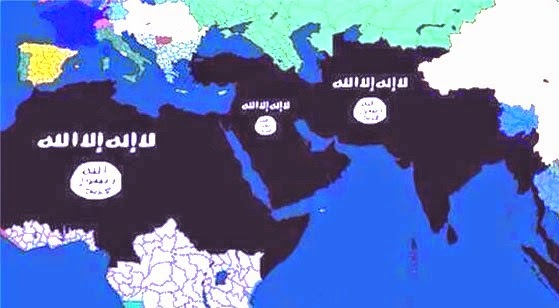 You can add your own country and conditions here. Point is, what was is history - leaders are cooking up new recipes for governance, law and order - as customs and mores flex. When you want to find out the latest in the entertainment field or you simply want to read what other people think about topics in the world, then a blog post might be of interest. 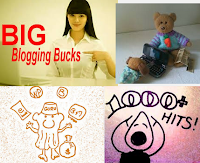 There are several people who have started their own blogs. These are ordinary people who might have inside information about what they are writing about, but most of the time, the information given is just an opinion. Reading a blog is somewhat like reading a magazine. You can get thoughts and reviews about why a musician like Tupac died or random thoughts about almost anything that happens from here to the moon. It's a way to entertain yourself as well as get a little bit of information about your favorite topics. Some people devote an entire blog site to one thing. This could be music, books, clothing or any other single topic that can be expanded upon. Many bloggers will leave space for others to comment about their post so that they can get the opinions of others after giving their opinion. There are sections on the blog site to make it easier to look for information that is current or postings that were made a few months ago. You can click on each tab for a detailed list of information.